Starting from now until 31 December 2018! This Spotlight is sponsored by PETRONAS. Monthly Prizes: RM1,000 worth of Mesra Card points, Watsons and Lazada shopping vouchers, smartphones, GoPro cameras, LEGO sets. Grand Prize #1: Scooter, Samsung SmartTV, holiday package worth RM20,000, and a cash prize of RM50,000. Grand Prize #2: Travel packages to watch Formula 1 in Silverstone (UK), Abu Dhabi (UAE), and Melbourne (Australia). Spend a minimum of RM30 in one receipt (on fuel and/or in-store items), swipe your Mesra Card, and you will earn 10 entries. Spend a total of RM500 within two consecutive months (on fuel and/or in-store items) and swipe your Mesra Card on every transaction. Spend a total of RM500 within two consecutive months on Primax 97 and swipe your Mesra Card on every transaction. 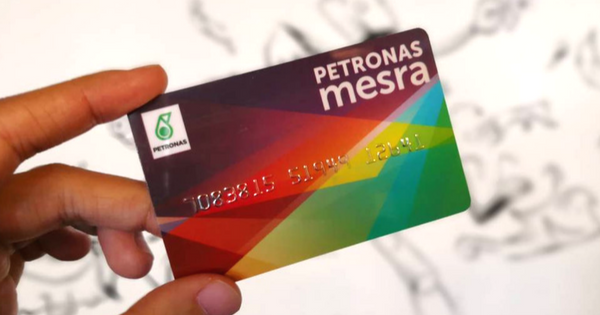 Don't have a Mesra Card yet? Get yours for free at any PETRONAS station nationwide! You can even swipe it immediately to collect points straightaway. Once you get your Mesra Card, just register it so you can redeem your points. Either SMS 36732 with the following message: KADMESRA (space) 17 digit PETRONAS Mesra card number (space) IC number (space) Name, or do it online! Find out more here or follow @PETRONASBrands on Facebook, Instagram and Twitter for updates. What are you waiting for? 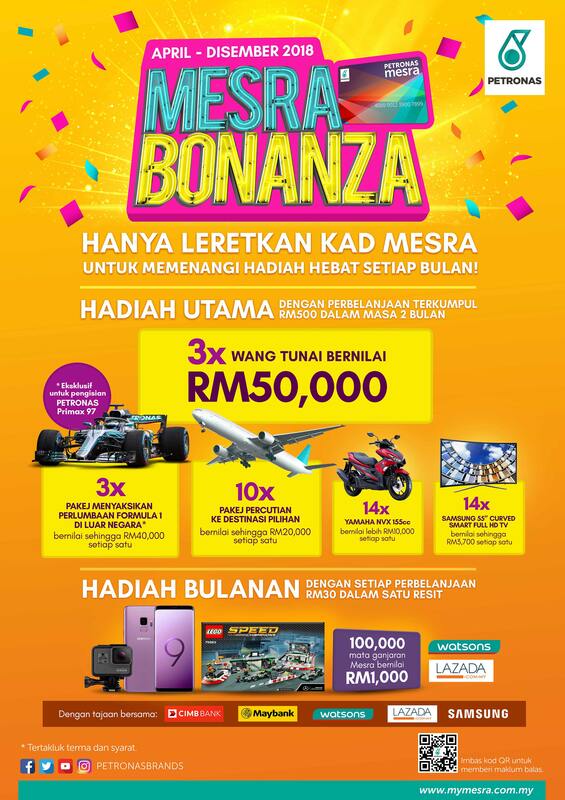 Join the Mesra Bonanza and get rewarded with prizes from now until 31 December 2018! It’s an initiative by the Great Heart Charity Association, an NGO based in Shah Alam. Chocolate croissants are leaving their mark, literally. We beat Singapore and the United Kingdom! The campaign will end on 31 December 2018. It involves opening an account. The campaign period is from now until 31 December 2018!